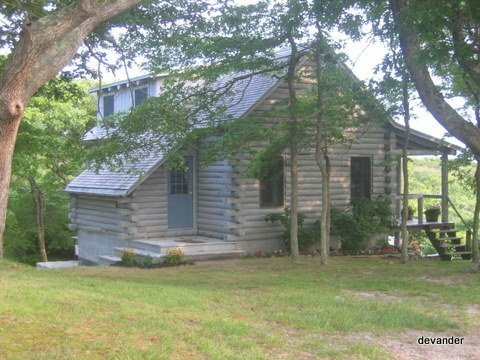 Pond front Log Cabin in walking distance to Philbin Beach. Amenities include comfortable furnishings upstairs and downstairs. Room for 8 and plenty of books and games to keep entertained on a rainy day. Set among beetlebungs and surrounded by water, with the ocean breezes blowing from the nearby Atlantic shore, you will find yourself in a summer dream.